Jordan Spieth has presented Royal Birkdale with the three iron that won him the 2017 open. 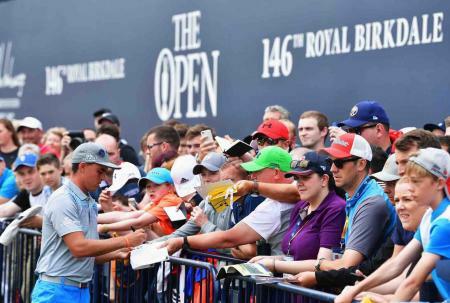 The R&A has announced that 235,000 spectators attended this year’s The Open at Royal Birkdale, making it officially the largest crowd for an Open staged outside of St Andrews. 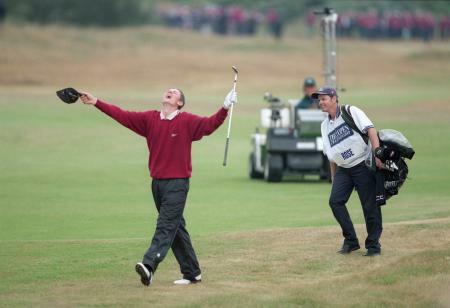 The golfing history books have just been rewritten at Royal Birkdale as Branden Grace shot a sensational 62 at The Open Championship to break the record for the lowest round at a Major Championship. It's Open eve and and we can't wait for it all to kick off in the morning. In the meantime we've got seven moments of Birkdale magic to keep your Open buzz up! 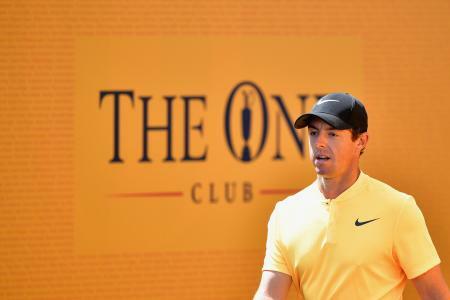 It is believed that a golf 'fan' pocketed Rory McIlroy’s lost ball at the Open, which could have cost Rory up to $203,000 in prize money, not that he is short of a bob or two. 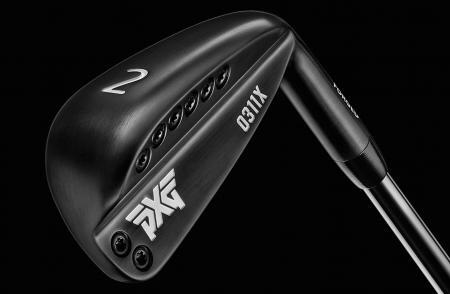 PXG have launched the 0311X links beating, wind cheating driving iron perfect for keeping the ball in play on those tough blowy days. There’s fresh controversy about Jordan Spieth’s drop on the 13th, as a little bird has told us that he dropped it in completely the wrong place. 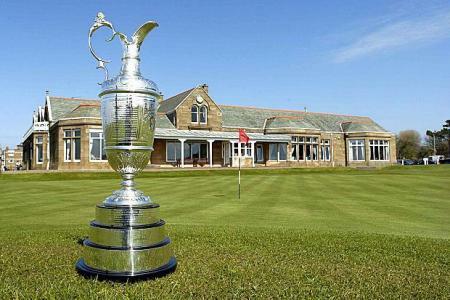 Here are the final day pairings and tee times for the 146th Open Championship. 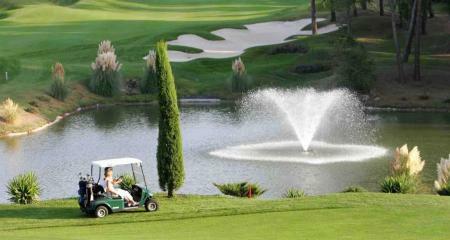 Today the leaders will be teeing off at 2.30pm, so we should have a winner by 6 pm. 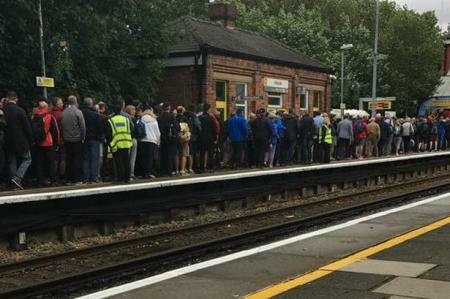 Open Championship hit by rail strike, as MerseyRail network deals with major disruptions. 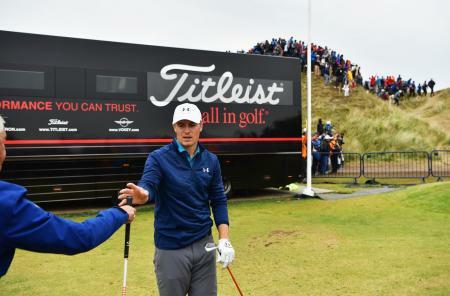 Jordan Spieth has won The Open at Royal Birkdale, and he's done it with a full bag of Titleist equipment. Check out Justin and his shirt, tie, and cardi combo!!! 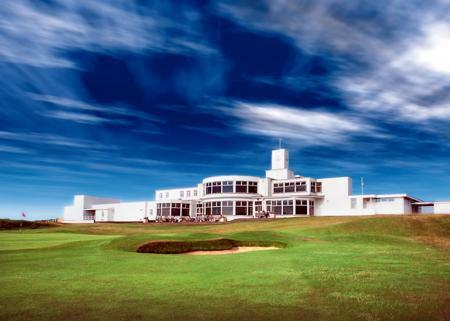 A record crowd for Royal Birkdale of more than 225,000 spectators are expected to attend The 146th Open this week, making it one of the best ever attended in the history of the Championship. 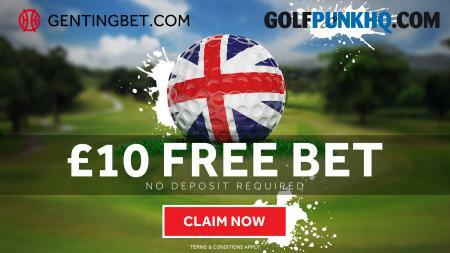 Win some cash at the Open with this sensational £10 FREE!!! BET!!! Here are the tee times and pairings for day one of the 146th Open Championship at Royal Birkdale, and the supergroups to be following. 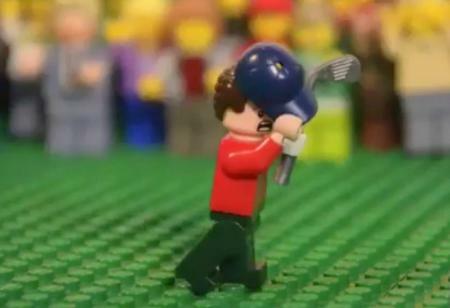 Here's a brilliant recreation of Justin Rose's famous shot on the 18th at the 1998 Open at Royal Birkdale in Lego. 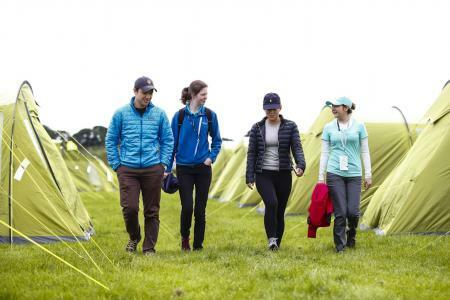 Last year saw The R&A introduce The Open Camping Village providing up to 500 under 25–year old’s and their families with free accommodation. This year The R&A is taking the service they provide for under–25’s to the next level with a bigger and better accommodation offering. 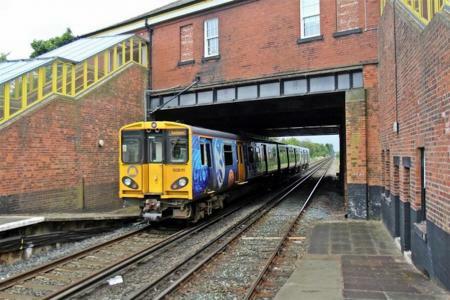 A rail strike is planned for the final day of The Open, so if you are going to be traveling to Royal Birkdale by train, you’d better have a Plan B. 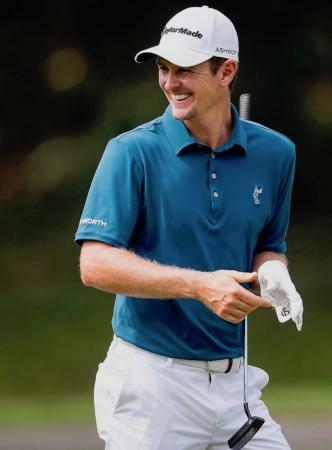 It was an excellent weekend for Martin Laird, as his third place at the Quicken Loans National earned him a handsome $482,800 and a place in The Open. 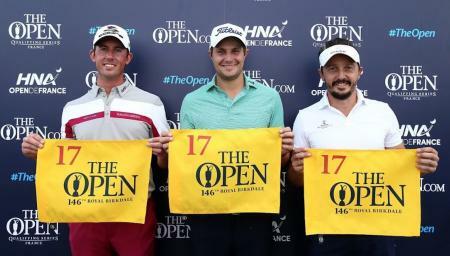 Chan Kim of the US, Michael Hendry of New Zealand, Adam Bland of Australia and KT Kim of South Korea have earned places in The 146th Open after qualifying at the Mizuno Open in Japan on Sunday. 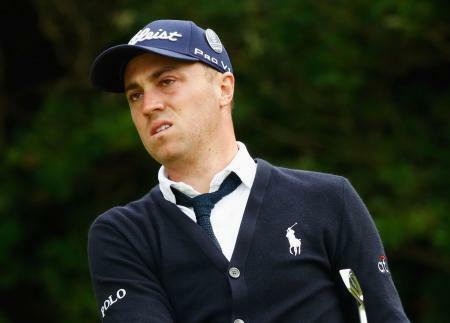 Will troops be deployed at The Open? A leading terror expert says heightened security in the wake of the Manchester Attack could see a military presence at the Open Championship in July. 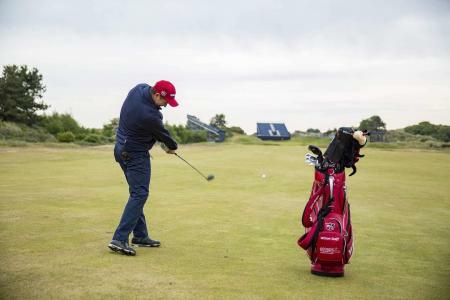 Former Major champion Padraig Harrington returned to Royal Birkdale on Monday to the scene of one of the most famous shots in modern Open Championship history. 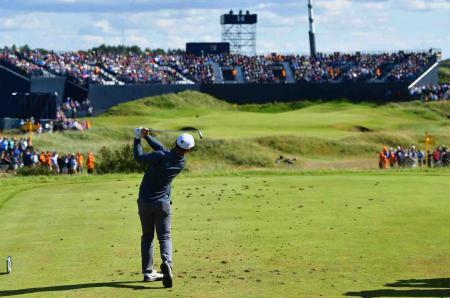 Glenmorangie, the official spirit of The 146th Open Championship, has appointed sport and entertainment consultancy, Clifford French, to activate their sponsorship of the Championship at Royal Birkdale. 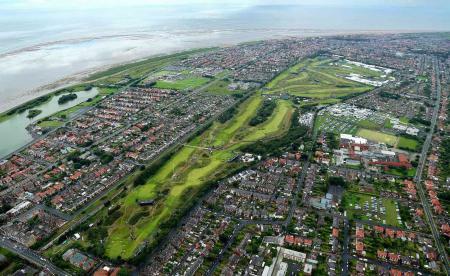 A transformation of Hillside Golf Club in Southport is set for completion this month, just in time for The Open. 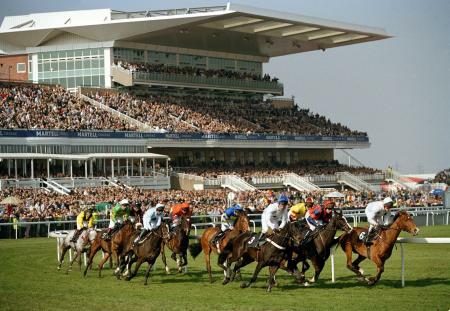 The Open has teamed up with The Randox Health Grand National ahead of the 146th staging of the Championship at Royal Birkdale this July. 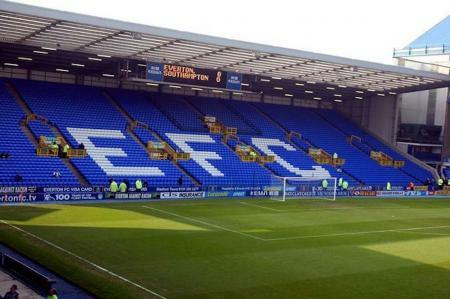 As we reported last week, the R&A signed a media deal with Everton for The Open Championship ahead of the golf tournament’s return to Royal Birkdale in Merseyside this summer. 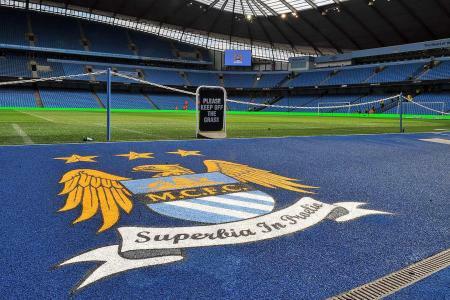 And now it's Man City’s turn. 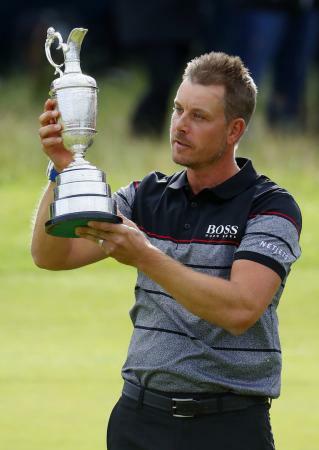 Open Champion Henrik Stenson has confirmed that he will play this year's Scottish Open as a prelude to his Open title defence. 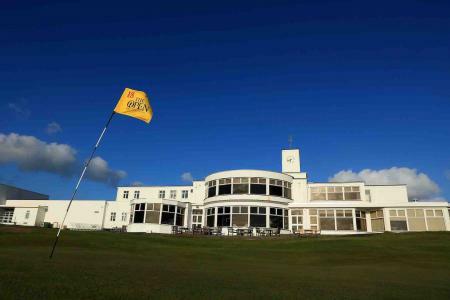 Everton FC has agreed a media partnership with the R&A as The Open comes to Royal Birkdale this summer. 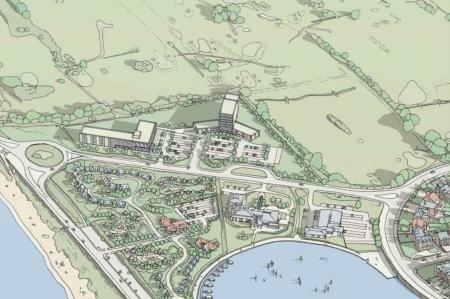 This is how a new top glass golf hotel in Southport could look. And boy does the place need one! 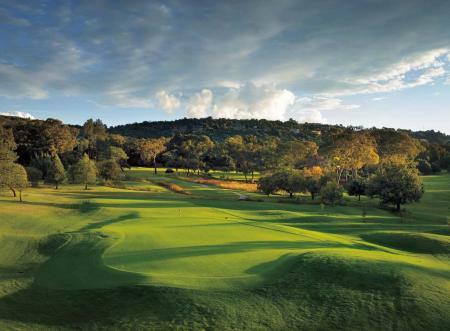 Royal Mougins Golf Resort is celebrating a fantastic hat-trick after being named as ‘France’s Best Golf Hotel’ at the annual World Golf Awards for the third year in a row. 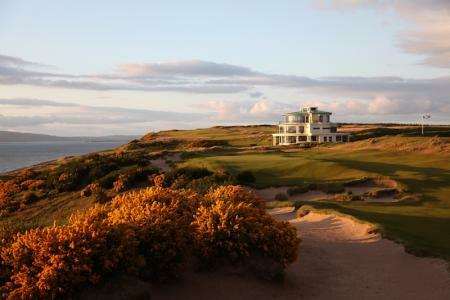 Two of Scotland’s leading links courses will host a prestigious Pro-Am tournament next year in honour of Donald Ross, one of golf’s most acclaimed architects. 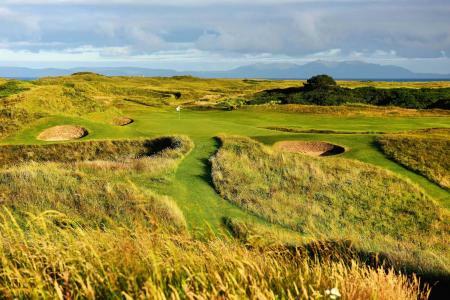 Here’s a great piece from our good friends over at Leadingcourses.com on the top 10 Royal courses in the UK and Ireland. Enjoy! 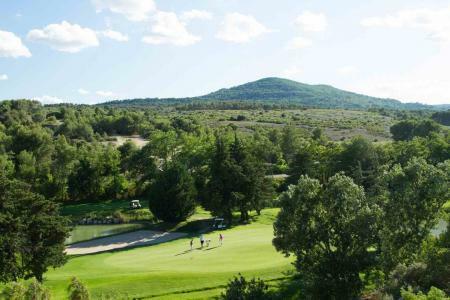 Visitors to Provence are now able to enjoy a lot more golf for their euro after Golf International Pont Royal signed up to the Provence Golf Pass, which offers savings of up to 30 per cent of tee-times in the region. Royal Mid-Surrey Golf Club in Richmond, south-west London, now has a waiting list of golfers under the age of 30 wishing to join as Associate Members for the first time in the club’s long history having reached its capacity of 120 Associate Members. Scotland’s summer of golf continues next week when the spotlight turns to Royal Dornoch which hosts the Boys Home Internationals. 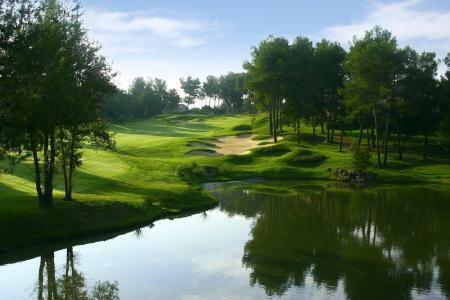 Already regarded among the premier golf venues in France, Royal Mougins Golf Resort has taken its golfing experience to new heights after implementing a comprehensive upgrade of the bunkers and irrigation system on its award-winning championship course. 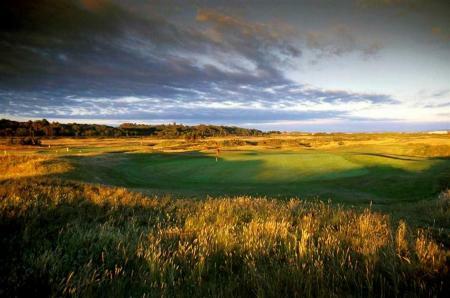 Fancy playing Royal Cinque Ports, Princes & Royal St Georges? 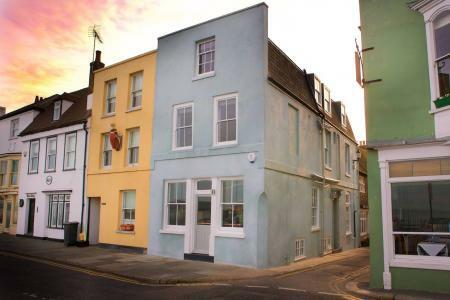 If you are looking for something a bit different on the golf holiday front this year, we have discovered this amazing house in Deal which you can rent, which is right on the doorstep of Royal Cinque Ports, Princes and Royal St Georges. 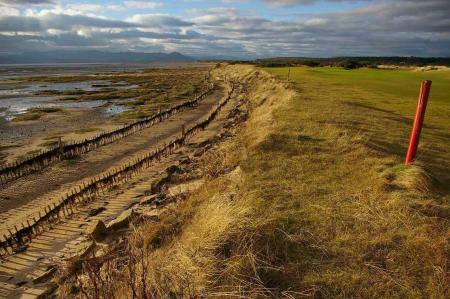 A world-renowned golf club is supporting a pioneering project that will help prevent part of its course succumbing to coastal erosion by rebuilding natural defences. International golfers drawn to Royal Dornoch’s famous links have helped provide a £20,000 cash boost to a number of the club’s neighbours. 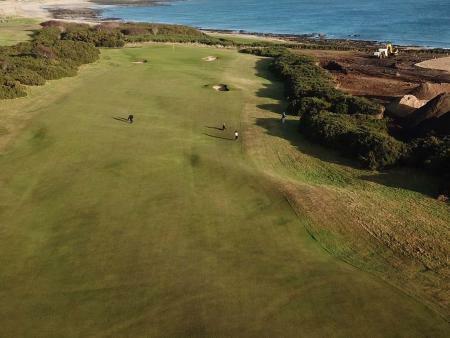 The final part of a series of major improvements to historic Royal Dornoch Golf Club’s Championship Course has got underway. For only the third time ever, Golf Digest have released their World’s 100 Greatest Golf Courses rankings, and at Number One it is again Royal County Down. 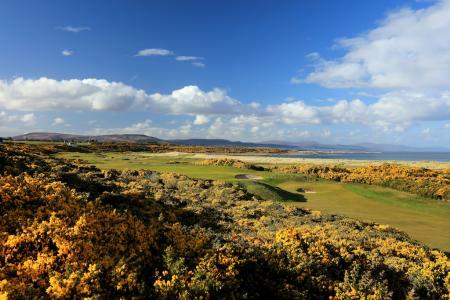 Royal Dornoch's commitment to its community and natural environment has earned it a coveted global sustainability accolade. 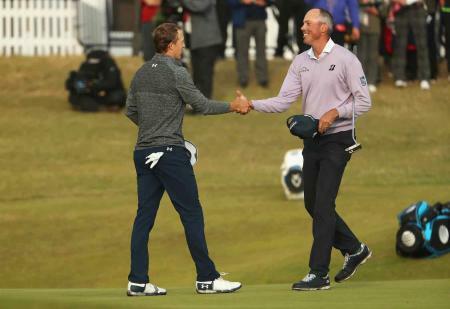 There may be an age difference of 86 years, but a long-standing golfing friendship is set to become even closer. The historic Royal Dornoch Golf Club is ensuring its illustrious past is not forgotten by future generations. 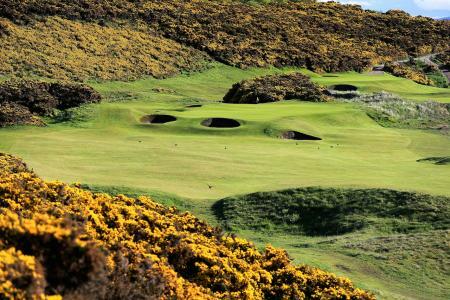 Royal Dornoch Golf Club has completed a number of course changes in a drive for continuous improvement, and has been recently named as one of the Top 10 courses in Scotland. 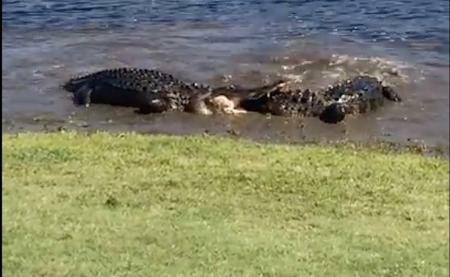 A 12–foot alligator and an 8–foot alligator battle it out on the 18th hole of Panthers Run at Ocean Ridge Plantation. This one gets ugly! Royal Norwich Golf Club has completed the sale of its land to developer Persimmon for £17m, and with it goes a little bit of golf history. 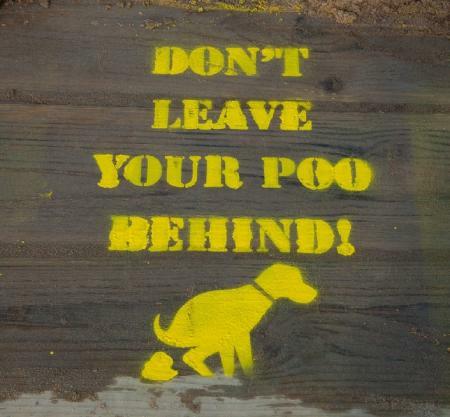 Royal Dornoch has pitched in to help tackle the scourge of dog fouling in its community, and to prevent you from having any untoward lies. 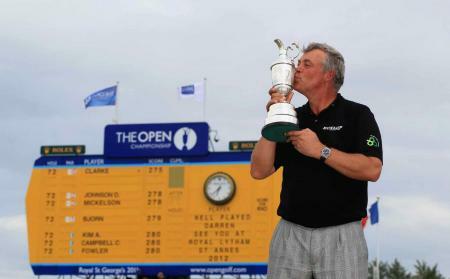 The R&A has announced that the 2020 Open Championship will be staged at Royal St George's, the scene of Darren Clarke's victory in 2011. 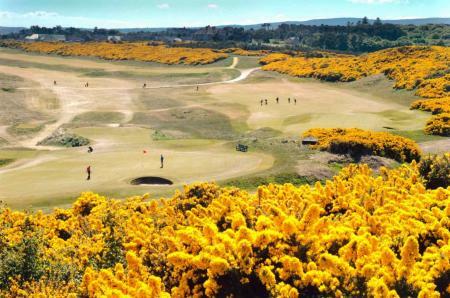 The internationally–renowned Royal Dornoch Golf Club is continuing a drive to help its neighbours by seeking new community projects to support. 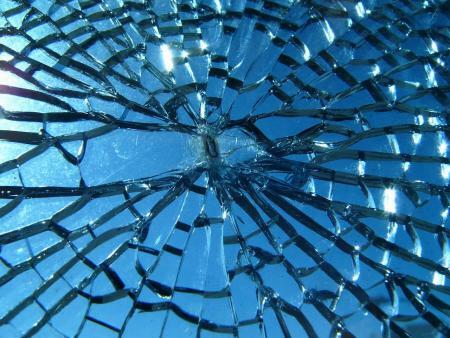 One of the world’s oldest golf courses has been damaged by vandals who deliberately tore up one of the greens in a car. Utter cretins we say! The Ricoh Women’s British Open will take place at Royal Lytham & St Annes Golf Club for a fifth time in 2018. A crofter is fighting a £2million legal battle with Royal Dornoch over grazing rights. 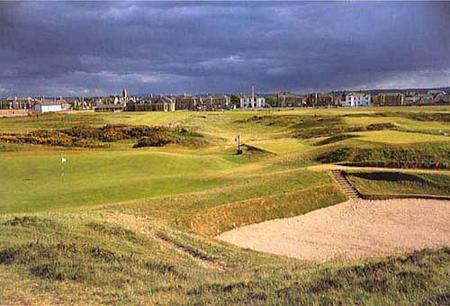 Royal Troon may be hosting the 145h Open Championship, but it is by no means all that the South Ayrshire area has to offer for the golfer. We’ve had a look at what we think are the Top 5 links courses to play once you’ve taken on Royal Troon. 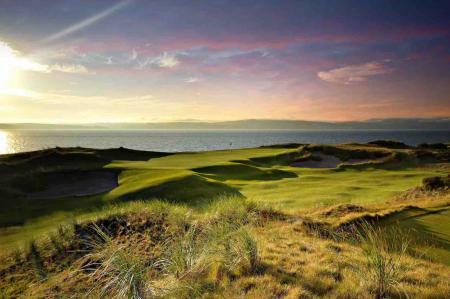 The big day has arrived for the members of Royal Troon. The special meeting that was announced two weeks ago in the light of the appalling vote at Muirfield will go ahead tonight. And we are praying for a resounding YES. 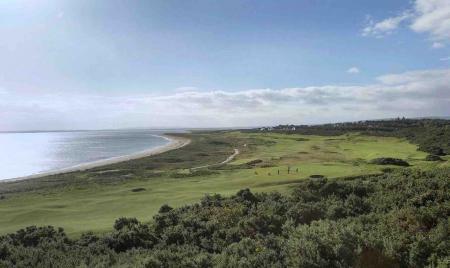 Do you want to play Royal Dornoch in a gale? We'll get our hats now! A Texan, living in Florida, who swings it like John Daly. Say hello to your latest Swingin' Siren, Kirsten Royal. 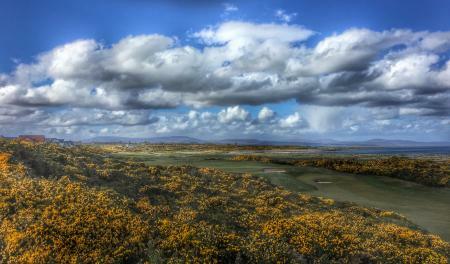 Here's a fantastic shot of the 17th at Royal Dornoch taken on Tuesday by Getty Image's famed snapper David Cannon. 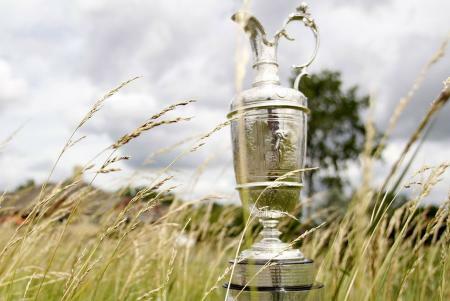 Thirty amateur players will contest a nine-hole event at Royal Troon on the eve of this year's Open Championship as part of efforts to boost participation in the sport. 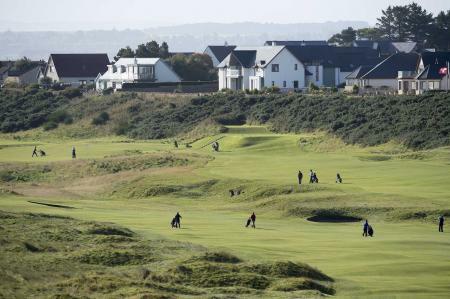 Royal Troon Golf Club is set to remain men-only by the time it hosts this year’s Open Championship, despite efforts by The R&A to make the game more open and appealing to women. 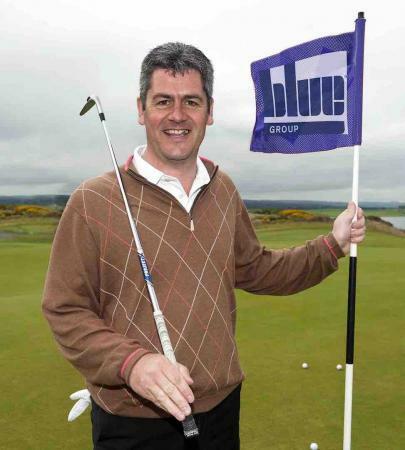 But has The R&A found a way of avoiding the media flak? The Royal Norwich Golf Club has taken a major step forwards to making the sport more inclusive as they have appointed women to their four key roles. 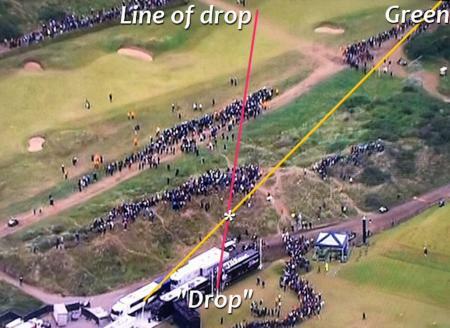 I don't know why anyone should be surprised in the wider world, but this is still golf. 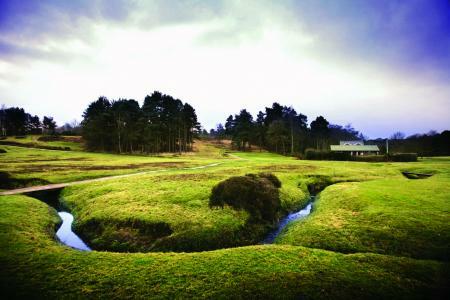 You Little Beauty: Royal Ashdown Forest.... We want to play with the Common People. 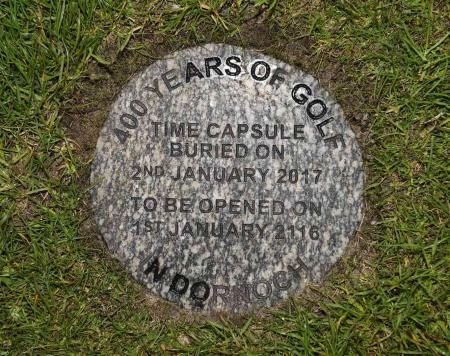 This year Royal Dornoch Golf Club is celebrating 400 years of golf being played in the town and it is also 125 years since Brora Golf Course was founded. Here’s how they are celebrating together. Congratulations to Royal County Down, which has just won a prestidgeous award for being the best course in the world. 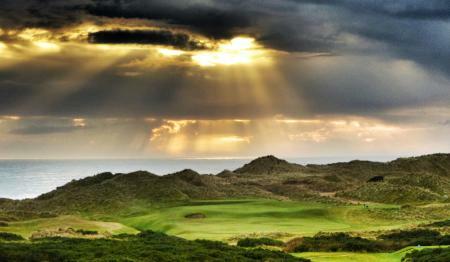 One of our favourite links courses, Royal Portrush is set to return to the Open Rota later today. 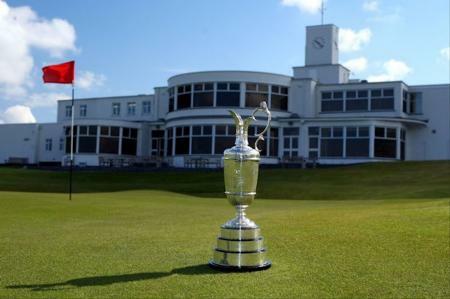 The R&A are set to name it as the course for the 2019 Open Championship, for the first time since Max Faulkner won there in 1951. 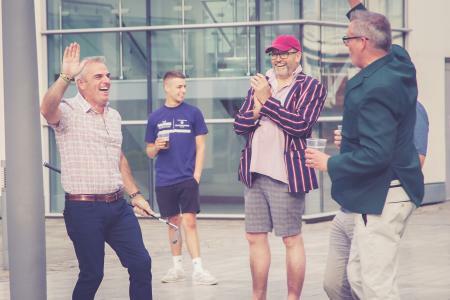 Aaron Moon, a former Royal Marine commando who lost a leg while serving in Afghanistan, now a golfing pro hoping to become the first amputee to play on the European Tour, is joining S&G Response in their One Million Yards golfing challenge, raising money for Street Support. Golfers with a taste for the finer things in life can enjoy the many delights of the French Riviera when they stay at the exclusive Royal Mougins Golf Resort this spring. Golf International Pont Royal has been nominated for the title of France's best golf course, in the 2018 World Golf Awards. 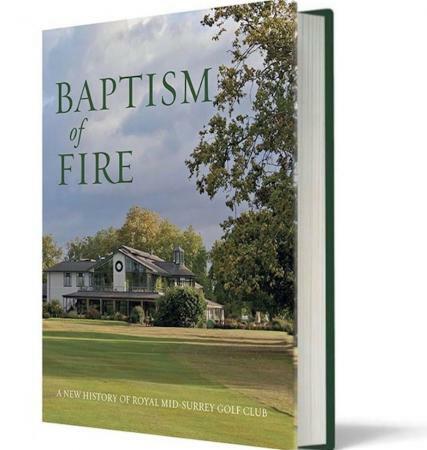 ‘The flames of the clubhouse fire at Royal Mid-Surrey Golf Club in 2001 consumed not only the members’ lockers, golf clubs and dozens of prized trophies and memorabilia, but also the traditional golf club way of life.’Now its tranformation has been captured in new book. 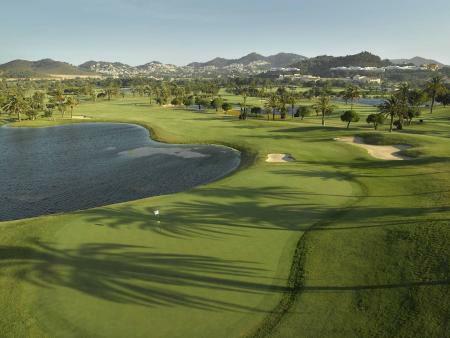 Spain’s five-star La Manga Club is celebrating its 45th anniversary in style after joining a select group of courses in Spain to have been granted royal status by the Spanish royal household, the ‘Casa Real – Royal House’. 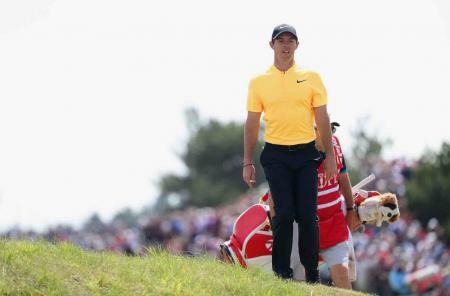 Rory McIlroy's wardrobe has got much better since he started wearing Nike gear. But what was he wearing on Sunday? The final day of the Open Championship is upon us and it looks like a tussle between two men as they aim to lift the Claret Jug. 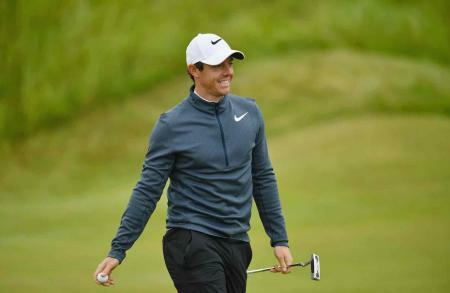 McIlroy was 150/1 following the opening six hole meltdown but all that has changed now. 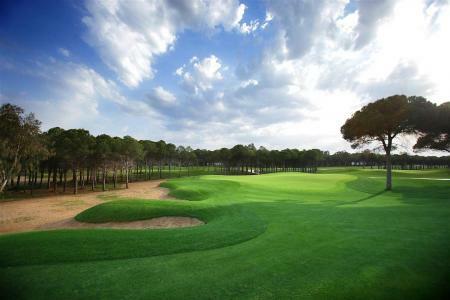 Golfers have awarded The Montgomerie Maxx Royal with the title of Best Golf Club of Turkey in 2017, with an average rating of 8,47. 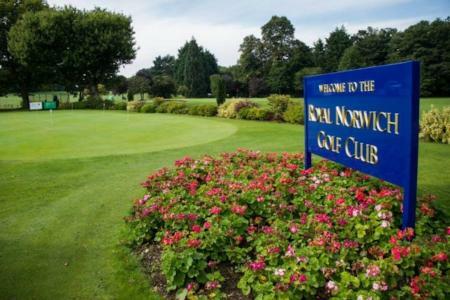 Royal Norwich Golf Club’s sale of its course so that 1,000 properties can be built on it is set to go ahead as planning permission has now been granted. 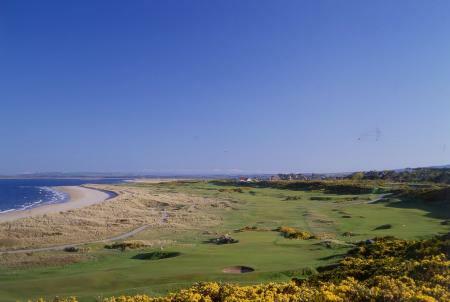 Royal Troon will host a special general meeting on July 1 to consider whether to change its policy, which currently prohibits women from joining. 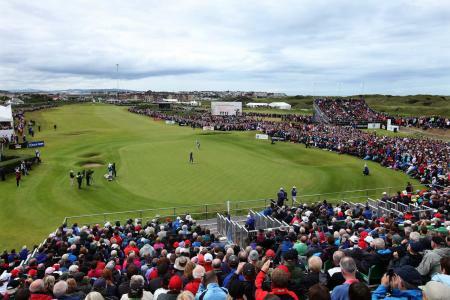 The vote will take place just two weeks before The Open. 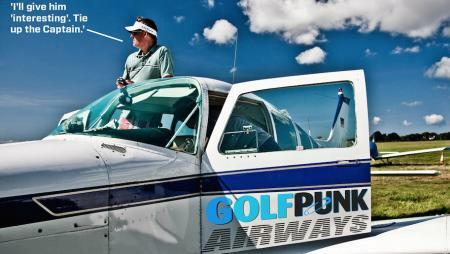 The Atlantic Golf Coast is calling!! 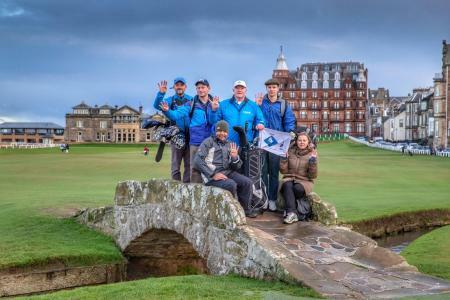 Three-time cancer survivor Nick Edmund has revealed plans to undertake two more marathon golf-walks during 2019 – just weeks after completing his second epic walk carrying a set of golf clubs on his back, this time around Scotland. Renowned for delivering glitz and glamour on a widespread scale, there are few places in the world that can rival the French Riviera, and golfers can experience all this and more when staying at the exclusive Royal Mougins Golf Resort over the coming months. 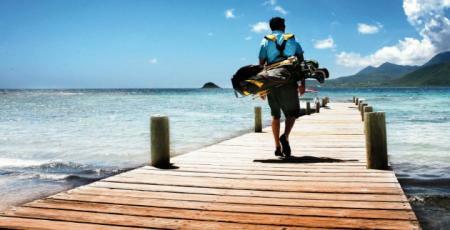 Off the back of significant growth at its Cape Town outlet, Clubs to Hire - the leading golf club rental company - is to expand its South Africa presence by offering its service at Johannesburg airport. 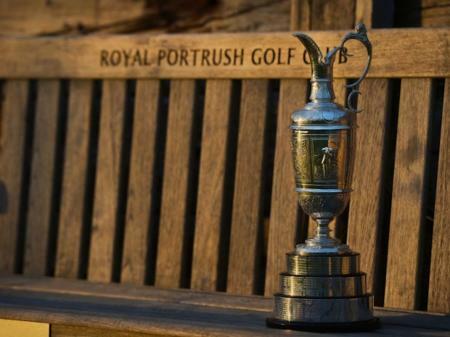 A prestigious golf tournament at three of Scotland’s leading links courses has left an economic and charitable legacy to the Highlands. 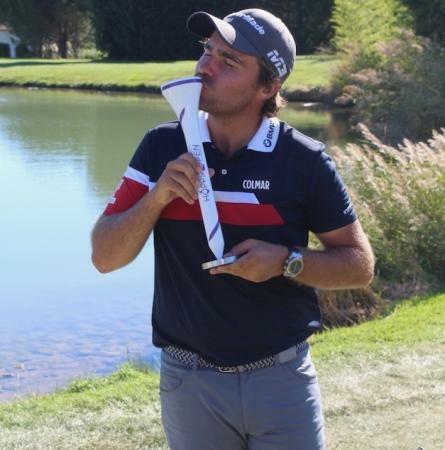 Former British Amateur champion Romain Langasque emerged victorious in the Challenge Tour's inaugural Hopps Open de Provence, at Golf International Pont Royal, after a rollercoaster of a final round. A prestigious Pro-Am tournament over three of Scotland’s finest links courses has sold out four months before it tees off. 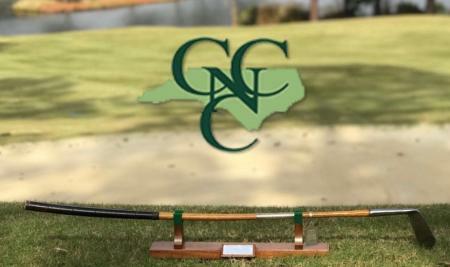 New flights connecting Inverness to Norway this week could further increase visits from Scandinavian golfers who are coming to the Highlands in record numbers. Ernie Els, Andrew ‘Beef’ Johnston and stars of the LET were on hand for an historic weekend at Saudi Arabia’s first championship golfing destination. You might have to live and work in London, but that doesn’t mean that you can’t make a quick escape to get your sticks out. Here are five of our favourite courses that are all within the M25. 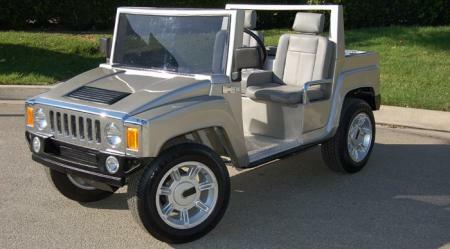 Check out our Top 6 customised golf carts. 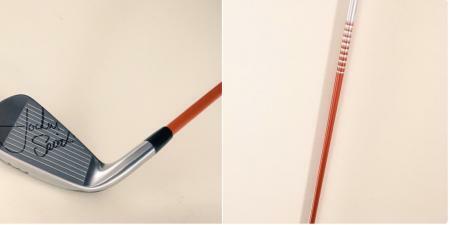 They may cost you a small fortune to buy one, but you'll be the coolest person on the fairway. There were more visits by US consumers to Scotland in the first nine months of 2017 than in the whole of 2016 according to new research, indicating continued growth from the US market and underlining its importance to Scotland’s visitor economy. Not what I wanted to hear. The fact is our Beech Craft B24R single engine, four-seater plane (furnished I might add with Connolly Hide leather and Wilton carpets), is battling through a 29-knot wind. 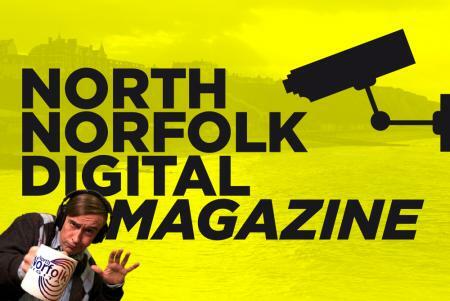 Norfolk is where mosquitos come for spring training, undergoing a grueling program of physical exercise and studying The Mozzie’s Guide To A Human’s Sensitive Areas. Additional air connections to the Highlands of Scotland have helped tee up record breaking visitor numbers to one of the country’s best-known golf courses.